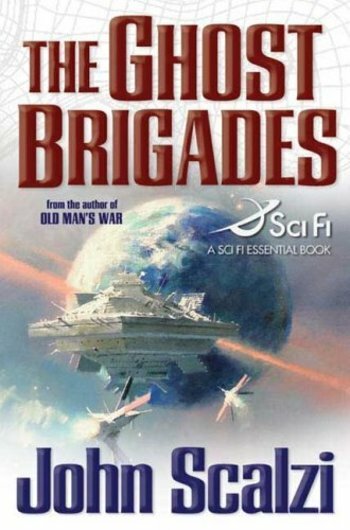 This military science-fiction saga is not only extremely well-written but captures what fans want most as far as alien cultures, strong heroic characters, and detailed space battles. Don't be fooled by the title. This is far from a child's bedtime story. While it definitely fits the story, it fails to convey the story's complexity and depth. The prologue describes how Tristan Serege and his mother, Darcie, become marooned on primitive Ganwold when the spacecraft on which they're passengers comes under attack by masuk space pirates. Darcie is a medic in the military and her quick thinking allows her and her toddler son to get away in an escape pod which lands on Ganwold. Tristan thus grows up amongst the gan, a primitive but intelligent race with strong cultural traditions, one of which is reverence for one's mother as well as all females in this matriarchal society. Tristan is accepted as one of their own in spite of being a "flat tooth." His hunting partner, Pulou, is more like a brother since gan culture dictates a bond between them which is the ultimate in protection, devotion and loyalty up to and including death. When Tristan's mother, Darcie, develops a serious illness, Tristan knows it's his duty to do whatever it takes to save her. This goes far beyond love for his mother; it's more obsession that defies reason, set in stone by the influence of gan culture. He's determined to find his father, Lujan, a war hero from a previous galactic battle, whatever it takes, and obtain the medical help Darcie needs to survive. The only human settlement on Ganwold is a military outpost occupied by Dominion forces, the very ones that his father was key to defeating prior to Tristan's birth. 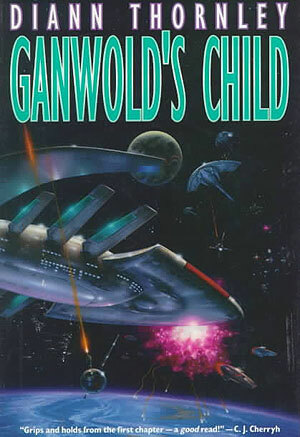 Nonetheless, it's the only connection to the technology needed to leave Ganwold and find his father. Naively hoping to stow away onboard a spacecraft, Tristan and Pulou are captured and turned over to Governor Mordan Renier, a man who's not only his father's political adversary but a vengeful personal enemy as well. Renier proceeds to use Tristan as a tool to exact revenge on his father, who had long before given up that Tristan and Darcie might still be alive. As part of his devious intent, Renier "cleans up" Tristan, whose appearance is initially less than civilized. His hair and nails are long, his mannerisms those of the gan even though his mother has taught him as much as she could. Tristan not only undergoes significant culture shock but is brainwashed with regard to who and what his father is as Renier puts on the facade of helping Tristan find his father and assistance for his ailing mother. Nonetheless, Tristan suffers much abuse at Renier's hands but is fortunate enough that one of the military doctors who tends to his injuries is sympathetic to his situation. Renier sends troops to capture Darcie as well and notifies Lujan that he's holding his son hostage. Lujan is caught between saving his family and Renier's outrageous demands which as a high ranking military officer he cannot ethically meet. He thus sends his own special forces team out to covertly rescue Tristan and Darcie. Peace was already tenuous and the situation escalates back into overt war. As a military veteran the author does an excellent job with the military side of the story. The characters and their actions, including battle strategies and terminology, put you into the heat of battle. There's a lot of violence in this story, both in the form of the abuse Tristan suffers as well as battle scenes. There are parts that are downright painful to read as many of the "good guys" don't survive and sympathy for Tristan and Lujan is strong. Both are flesh and blood characters who are not omnipotent making them individuals with whom the reader can connect strongly. The story captures the heartbreak and internal conflicts of individuals caught in horrific circumstances, in this case against the stark imagery of interstellar war. There are numerous analogies to the world today from the primitive wisdom of the gan, reminiscent of that depicted in the movie "Avatar," to the savage brutality of the masuk which reflects "business as usual" in the Middle East. Star Wars/Star Trek fans won't be disappointed by this complex story with its vivid imagery, strong characters, numerous subplots and nail-biting suspense. Better yet, its the first volume of a trilogy so fans don't have to bid the characters a fond farewell as this story concludes. Marcha Fox is an avid science fiction fan and author with over 20 years experience at NASA's Johnson Space Center in Houston, Texas. She is the author of the Star Trails Tetralogy.